Request to be added to our meetup group so you know what's going on. We generally shoot on the last Saturday of each month. Sign up for the Meetup group to get details and updates. The Sacramernto Gun Club is the range we generally shoot at for our monthly shoots. It's a nice indoor range with an excellent retail facility attached. You can also rent guns here. Just Guns is a retail store on Auburn and Watt with a nice selection and friendly staff. California Security Training Academy is where I and several others in our Pink Pistols group did our CCW training. The guys are friendly, the training is about as good as anywhere else, and the pricing is better than most. Ketan V. Ranchhod at Firearms Safety Training offers training in safety fundamentals as well as beginning and advanced shooting skills, especially appropriate for folks who may be considering applying for a CCW. Ketan is certified to provide training that meets CCW requirements in select counties - contact him at (916) 303-3746 or dink2@surewest.net for details. Sacramento Defensive Pistol Shooters is an IDPA-style action pistol club that also offers training specific to IDPA-style action pistol matches, including a new shooter clinic, and IDPA 101 and 202 classes. Guncite is one of my very favorite resources for facts about second amendment issues. This site debunks a lot of the myths about guns and gun ownership,using documented sources of data such as the CDC and the National Safety Council. Pink Pistols (national) is, of course, the parent organization to our very own local Pink Pistols chapter. On this site you can look up a local chapter, sign up for one of the yahoo groups (the national group is much chattier than our local folks) or learn more about how the whole thing started. IDPA is my favorite version of action pistol. It's basically a shooting sport that requires you to shoot self-defense 'scenarios' while moving, using cover, etc. It's a great way to keep your skills up and lots of fun to boot. North Valley Shooter's Association is a club in Gridley (about 1 hour N of Sac) that puts on a monthly IDPA-style match. Check out the pictures and videos on this site to get a sense of what IDPA shooting looks like. (Hint: it's an absolute blast!) Matches are every 3rd Sunday. 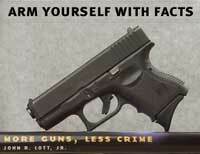 Sacramento Defensive Pistol Shooters is another IDPA club that shoots in Ione (about 1 hour S of Sac). They put on an excellent match on the 1st Sunday of every month. Sacramento Action Pistol is a site that gives the low-down on a range of action pistol events happening in the Northern California area. It includes the IDPA clubs listed above along with information and links about some other action pistol styles such as Steel matches and IPSC shooting. Cornered Cat is a site about women and guns, written in a very personal style by a woman named Kathy Jackson. If you've every wondered why a 'normal' person would carry a gun, give her essay on the topic a read. California Concealed Carry is an excellent source of information on concealed carry issues in California, including legal stuff, equipment discussions, etc. Calguns.net is another forum with discussions on everything from politics to action shooting sports. Oleg Volk is a photographer who has created some very compelling images related to shooting and self-defense, including the image on the Pink Pistols splash page.